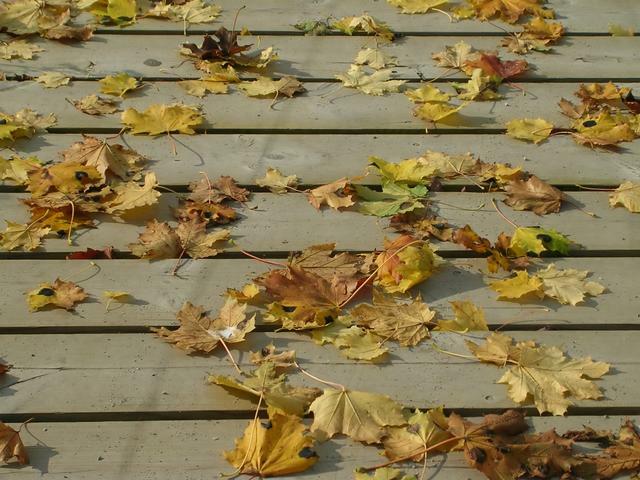 An essential element of deck maintenance is cleaning, and it causes much confusion amongst DIYers. There are several ways of tackling this job, and here we outline a few of them. Of course, many homeowners prefer to find local reviews on the professional services you need at Angies List. Take the Tour! It might seem the obvious solution, but dont rush into using a pressure washer on your precious deck using too much water pressure; dial it back according to instructions. While pressure washers have the advantage of being quick and convenient, they may leave your deck damaged and in need of further care. If its a holiday (vacation) home, you might even risk your holiday home insurance. Quite simply, a pressure washer can shred the fibers of the wood, leaving unsightly marks and damage that is not easy to rectify. We will look at some other options before returning to the subject of how to use a cold water electric pressure washer safely and effectively. For best results, a cleaning solution should do the majority of the deep removal of grime, mildew and algae growth on your deck. You have several options here. Some solutions claim to brighten the wood, and these are often bleach-based, while others are detergent based. All have clear application instructions, specific to the type of product, so make sure you read the manufacturers notes carefully. Bleach-based products will show results very quickly, although they do require a short development period for the solution to begin working. For those who would rather not use harsh chemicals then it is possible to buy oxygen bleach products, which are environmentally friendly and highly effective. The chemical make-up is just hydrogen peroxide and soda ash, and you will see oxygen bubbles appearing as it starts to work. If you use OxyClean® products, you already understand how well this works; they use hydrogen peroxide as their principal ingredient. The slight downside is that you do need to employ some elbow grease for it to work at its most effective. Detergent-based cleaners usually require you to scrub your deck with a deck broom too, in order to work the product deeper into the grain. Make sure you use a synthetic broom for this job, since the chemicals used in cleaning solutions may damage natural bristle brooms. A good tip to protect your plants during cleaner application is to water the garden area well before starting. That way any overspray will be diluted and easier to wash away after you have finished. When you have applied the cleaner, and waited the appropriate length of time for the solution to work, it will be time to rise the wood thoroughly. This is to remove both the dirt and the chemical cleaner, so it needs to be thorough. Its here we return to the issue of pressure washers, vs a hose and broom. The rinsing stage is where all your careful work can be undone. The pressure rate per square inch (PSI) for cleaning a deck should not be more than 1500 lbs, and if you dont know what rate your pressure washer cleans at, exercise caution. There are many professionals who make a living out of cleaning decks, and they usually use pressure washers, so it can be done safely. It simply requires some caution. Personally I have found a deck brush and hose to be more than sufficient, but for the less fit then the pressure washer has obvious advantages. Make sure you dont squeeze the trigger with the nozzle pointed at the boards initially. Start the washer going away from your deck and gently play it over the boards in a systematic manner. You need to avoid overlapping marks wherever possible, so you should use the same amount of pressure at the beginning of a sweep as at the end. This means the nozzle should remain a consistent distance from the boards. If you have no railings on your deck you might find it easiest to walk along the length of the deck (in the direction of the grain) holding the wand at the same distance yourself, using broad sweeps. To avoid overlap marks you should ensure that you partially go over the area you have just cleaned in the next sweep, making the process seamless. Experiment and practice your pressure washer technique and dont get carried away by how quickly and simply it cleans. If you overdo it, you will find that when it dries the surface is fuzzy with damaged fibers, which you will then have to work hard at erasing. Finally, depending on kind of deck planking you have, you might think about refinishing it. Note that composites like Trex® do not require refinishing, but raw wood does and even pressure-treated lumber will benefit.